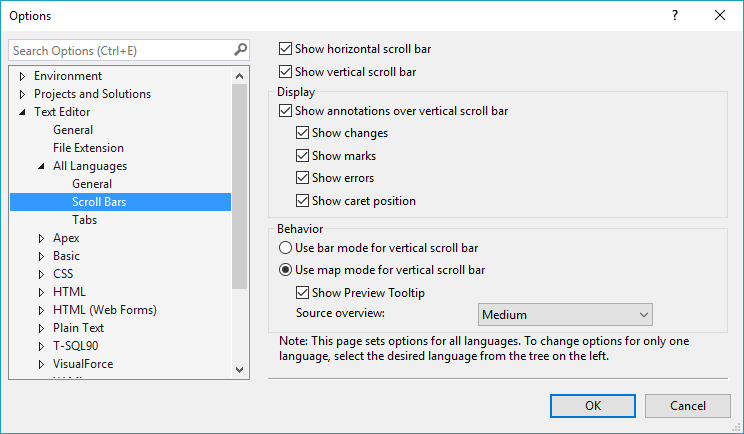 The Text Editor section of the Options menu gives you the ability to customize the behavior of the editors in general as well as the editor for a specific language that you need. 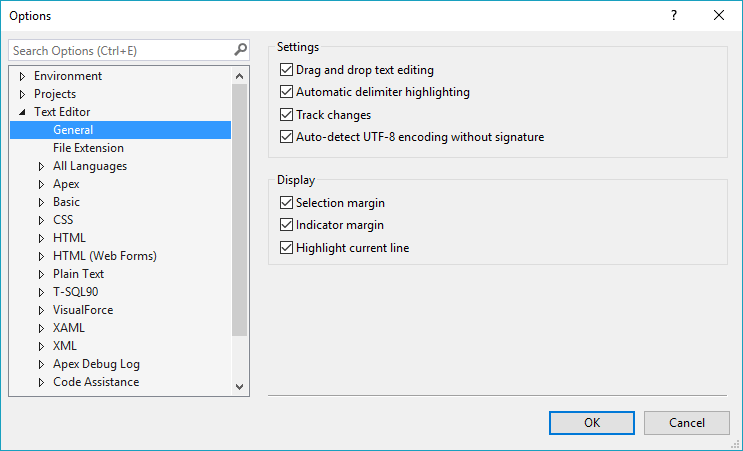 tracking changes, auto-detecting UTF-8 encoding without a signature. 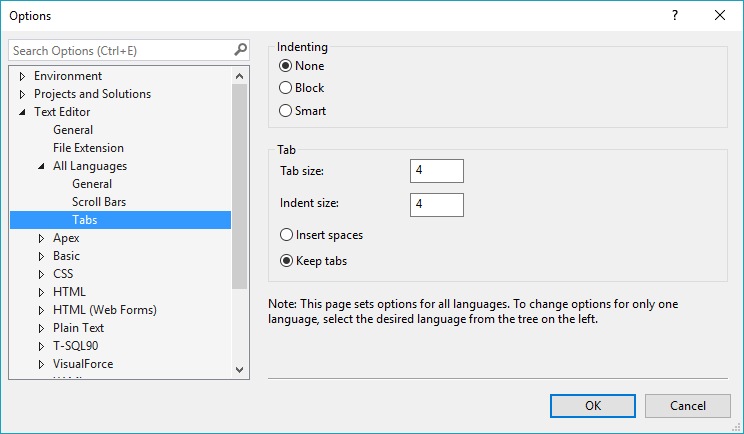 This block allows you to manage all the extensions of files that you're working on. 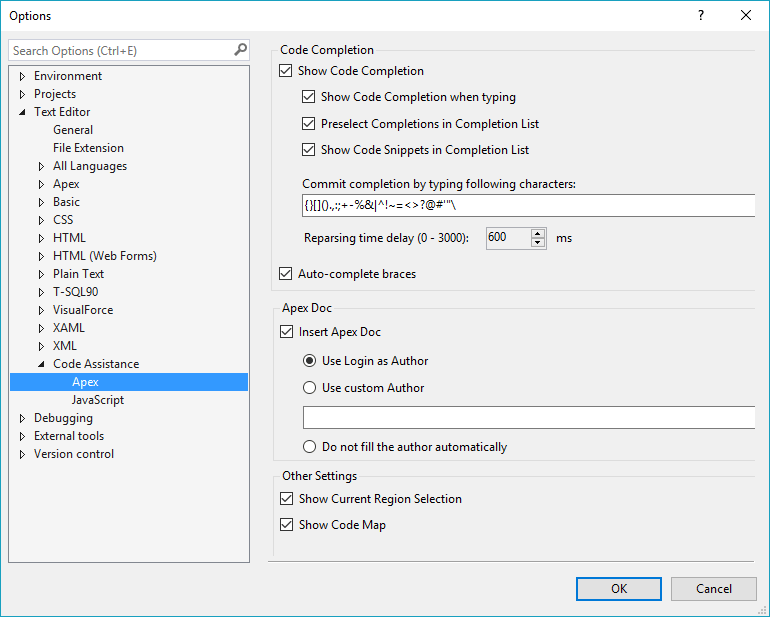 Type the necessary extension in the Extension field, select the appropriate text editor for it from the drop-down list and click the Add button. If you don't need some extension anymore, select it in the list and click the Remove button. 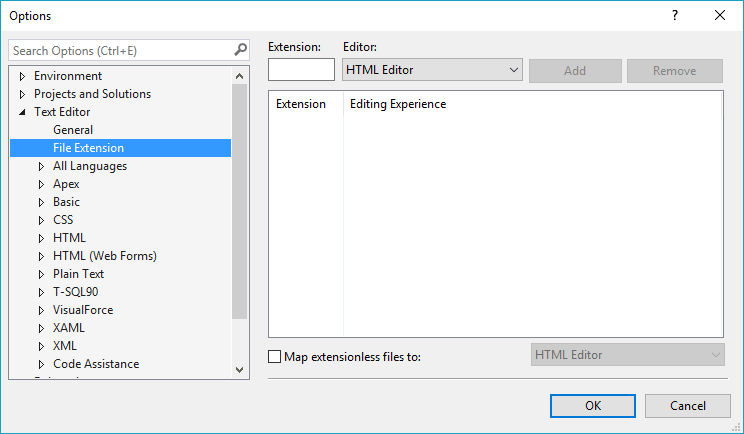 In addition, you can set the editor for the extensionless files: check the box at the bottom of the window and select the editor from the drop-down list. 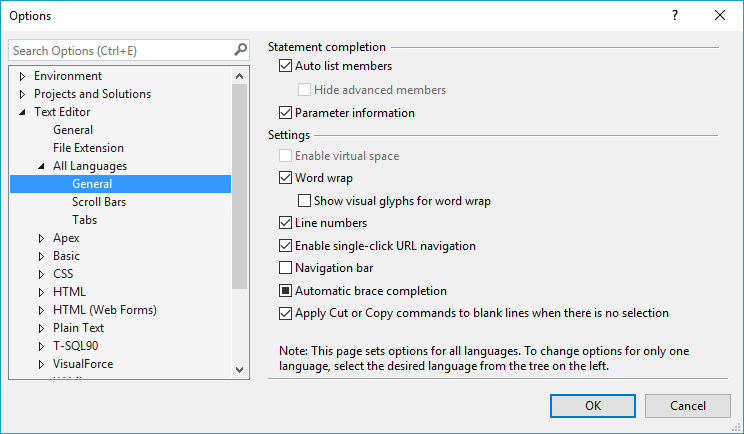 Settings — the abilities to enable / disable virtual space, word wrap, line numbers, single-click URL navigation, navigation bar, automatic brace completion, and Cut and Copy commands for blanc lines. set the mode: bar mode or map mode, and its size. if TWS should use tabs or spaces. 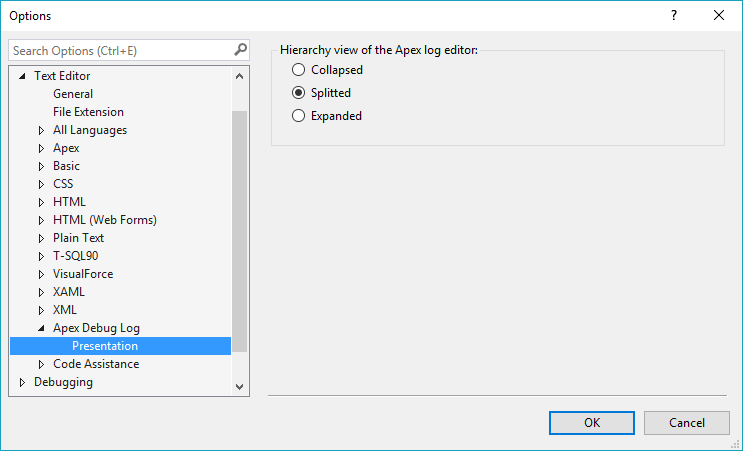 Splitted — this view allows you to see the combined log and its tree view in your Log editor. 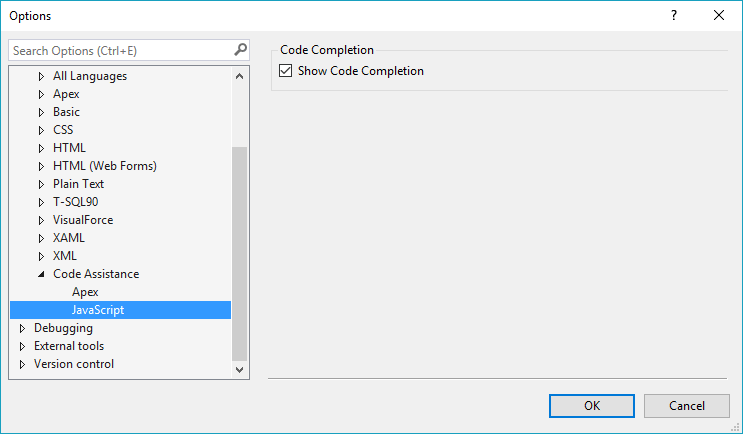 other settings: showing current region selection and show code map.